We often receive delighted emails from our competition winners. But last week not one but two winners went a step further and phoned to thank us for one of the best shows they’ve seen in years. 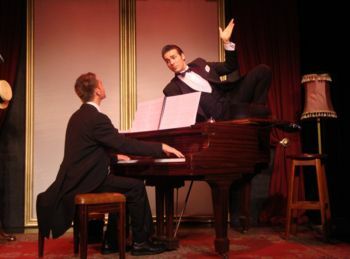 The award-winning Jonathan Roxmouth and Louis Zurnamer are currently performing an affectionate pastiche of Flanders and Swann songs, galloping through a huge number of the duo’s best-loved songs such as ‘The Reluctant Cannibal’ and ‘London Omnibus’ in a revue-style show very similar to the original. For those who have never heard of Flanders and Swann, you are not alone. As old-style musical hall entertainers their music is unlikely to be found on the average iPod. But their songs are as relevant and witty today as they were in their heyday of the 1950s and 60s. Flanders and Swann were quintessentially British, and it was a nice touch in this show to bring in some South African twists. The vuvuzela makes it into Mozart’s Horn concerto, the song about the natural superiority of the English over other nations becomes a homage to Capetonians, and the protagonist of ‘The Warthog’ is a distinctly Afrikaans meisie. Luis Zurnamer has a sweetness about him that contrasts well with Roxmouth’s baser humour, and his exuberant singing and piano playing are perfectly pitched. His delivery, however, comes across as a little too scripted, even if his evident enjoyment bubbles up quite naturally. As such, when not singing, he is rather relegated to amusing facial expressions and the occasional comic interjection. It’s Roxmouth who undoubtedly carries the show. An extremely talented actor and singer, he gives his all in this role, thoroughly at home with entertaining a crowd, relaxed enough to pull up his socks while he’s talking, or to make a crack as he knocks a prop over. Yet there is a distinction here. Roxmouth is an actor, whereas Flanders (the main ‘talker’ of Flanders and Swann) was simply being himself. Obviously that is not going to change. But while Roxmouth acts superbly and sings beautifully – rather better than Flanders himself in fact – it is perhaps too much so. He needs rather to tone down the dramatist and work on the human element of camaraderie, particularly his relationship with Zurnamer. Of course, Swann and Flanders had known each other since their school days and had an intimacy hard to imitate, but Roxmouth and Zurnamer’s performance would benefit from more interaction between the two, more schoolboy-type joshing, even if its ‘genuineness’ is scripted. But that small bleat aside, this show is quite simply a great evening of irreverent humour with hats on. From the Beatnik version of ‘The First and Second Law of Thermodynamics’ through the piano relay of the Wom Pom song to the Zulu verse of ‘Mud Mud Glorious Mud’ hardly a beat is missed. Every seat was packed at the Theatre on the Bay and rarely have I been a part of an audience enjoying itself quite so much. Hats Off! 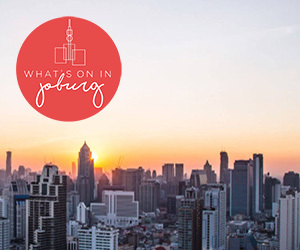 runs at the Theatre on the Bay from 14 September to 8 October 2011. Hats off is the funniest show that I have seen in years, and I had never even heard of Flanders and Swan. It is also a great showcase for the multiple talents and musicality of Jonathan Roxnouth and Louis Zurnamer.